As a course instructor, you may add up to 3 questions to your Mercury course evaluation questionnaire. Completing this form will send your additional questions to your unit's Mercury Departmental Liaison, who will add them to your questionnaire. If you are teaching different courses (e.g. ABCD 300 and ABCD 400), you will need to fill out this form for each course. If a question asks for information that would potentially allow for identification of a student, such as grades or program, the option “I prefer not to answer” must be included to remind students that they are not required to answer the question. McGill's bank of recommended questions, part of a document titled "Course evaluation questionnaires: Gathering feedback you can act on," which also contains guidelines for writing meaningful course evaluation questions. Available in English and French. A recording of a TLS webinar entitled "Customize your Course Evaluations: Writing Meaningful Questions" (login required). View the slides only. 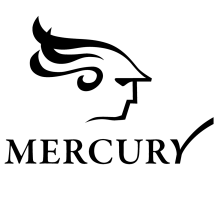 If you have any questions, please contact the mercury.info [at] mcgill.ca (Mercury System Administrator).